Shiramine is located at the foot of Mt. 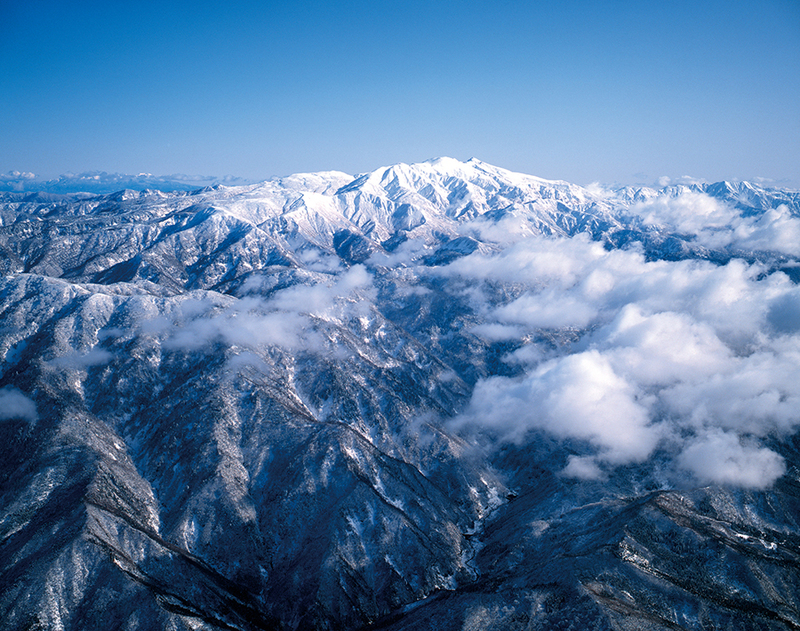 Haku, one of Japan’s three famous mountains. 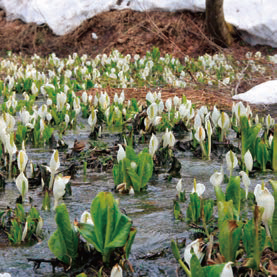 It receives some of the heaviest snowfall in Japan, with over 2 metres in a regular year. These conditions have brought about a unique way of life, living together with the snow. People began residing in the Shiramine region during the Jomon period (11,000 – 300 BC). With river frontage and hills to the rear, the blessings of these mountains and rivers have supported people’s lives here on this sunny terrace. A village called Ushikubi, centered on the present-day Shiramine township, was opened by the monk Taicho in the first year of the Yourou period (717). During the Warring States period Shiramine was governed by the local Kato Tobei clan. In the 6th year of the Keichou period (1601), it officially came under the rule of the Governor of Echizen as the 16th village of Hakusan-roku (the Mt. Haku foothills). 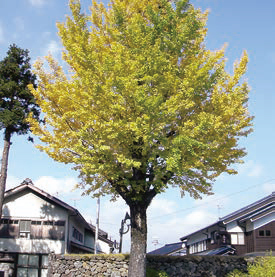 However, there were disputes dating back many years between the foothill villages of Echizen, Kaga and Mino, regarding the rights of economic activity at Mt. Haku’s summit. In 1668 (8th year of the Kambun period) Ozo and Aratani of the Kaga domain were added, and the 18 villages of Hakusan-roku came under shogunate control. The Juroemon Yamagishi family of Shiramine were entrusted as village leaders by the shogunate for approximately 200 years until the Meiji Restoration. Shiramine is surrounded by mountains and receives heavy snowfall, thus rice crops are rarely grown. 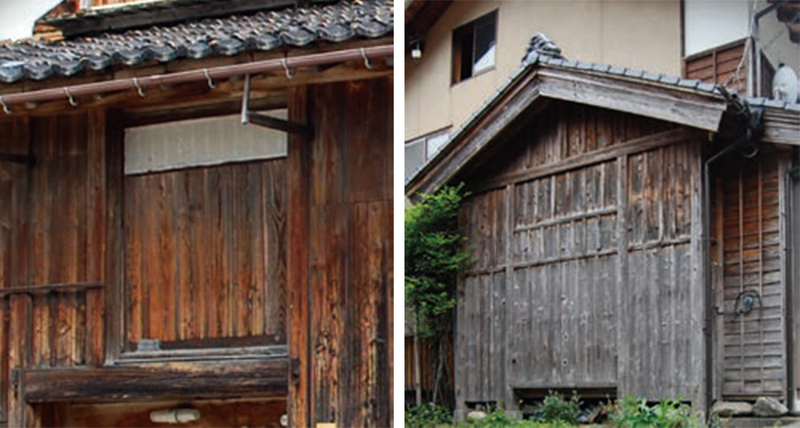 From the middle of the Edo period, high grade silkworm-raising was carried out. The income from this allowed for the purchase of general goods and marine products. 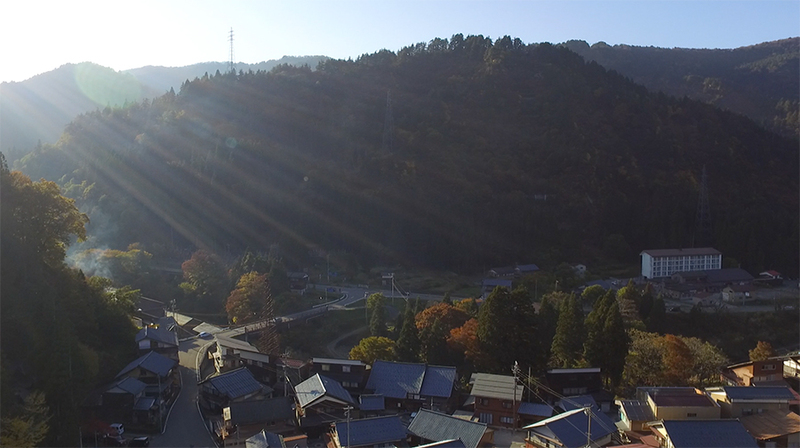 The most prominent aspect of Shiramine’s townscape is the combination of its “machiba”-like scenery (densely-packed store district) against the backdrop of a mountain village. 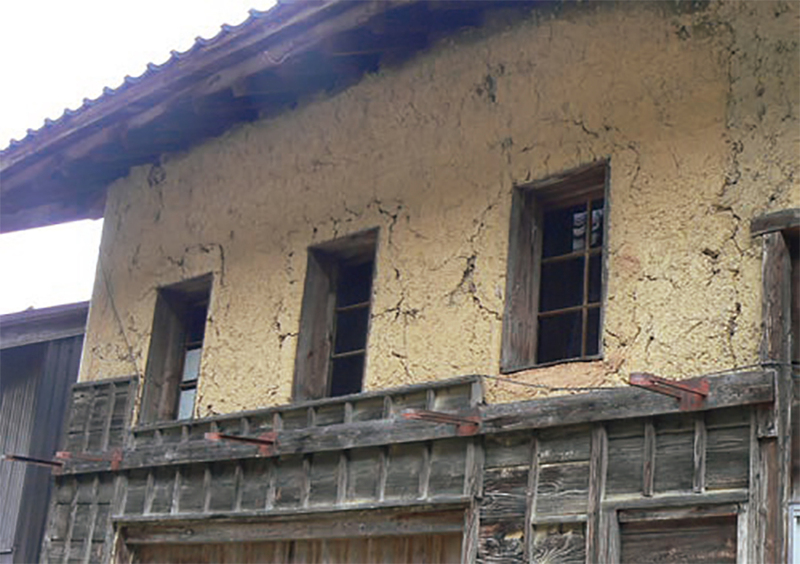 One of the main characteristics of Shiramine’s traditional houses are the large ocher yellow walls and oblong windows. Another is the “osedo”, a 6-foot-wide door located on the 2nd floor above the entrance, that is used for loading firewood etc. The Buddhist altar area is positioned projecting out from the rear end of the house, so that people cannot walk above it. Also, in the event of a fire, this allows for the altar to be moved outside quickly. 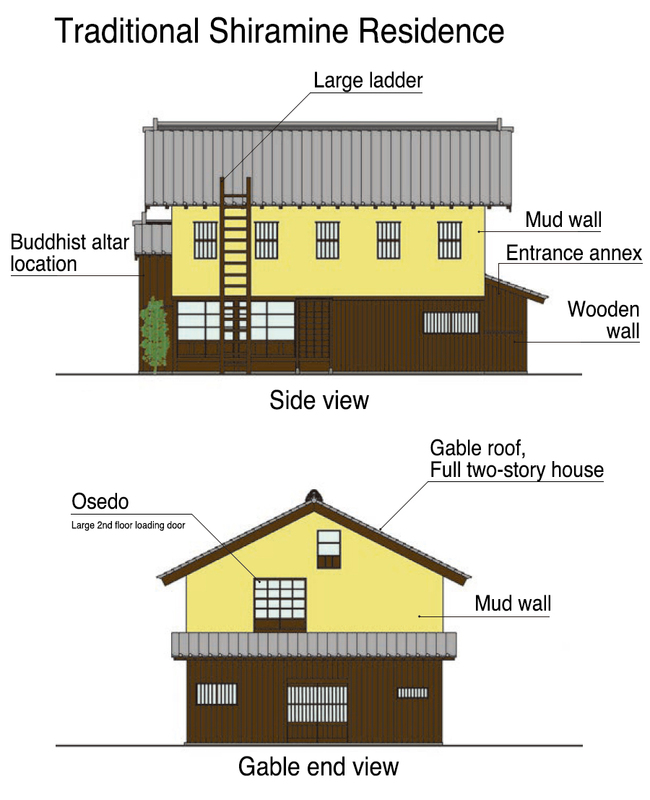 Another characteristic feature are the large ladders providing access to the roofs, positioned year-round. Although these days they are not so commonly seen. An event celebrating the long-awaited arrival of Spring, with stalls offering freshly-harvested wild plants and local specialties. A festival with its origins in the first climbing of Mt. Haku by the Echizen monk Taicho. 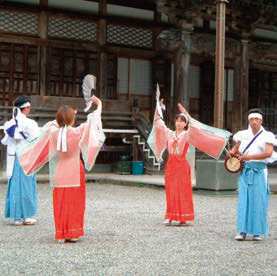 It involves a dance named the “Kanko Odori” (Ishikawa intangible folk cultural property), which was performed in celebration of Taicho’s safe descent from Mt. Haku. A highly-regarded sumo tournament performed during the Yasaka shrine autumn festival. Boasting over 100 years of history and recognized by the Japan Sumo Association. A day to warm your body from both outside and within. Bathe in silky-smooth hot spring water and eat specialties made using hot spring water. Started by the townspeople living in this heavy snowfall region, to enjoy the snow. Cute little snowmen are lined up in front of houses in the village. 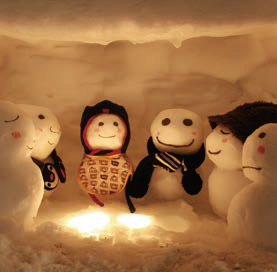 When night falls, candles are lit around the snowmen, creating a magical atmosphere. You can also enjoy trying local specialties around the village. © 2017 Shiramine Tourism League. All Rights Reserved.